We love to celebrate St. Patrick’s Day in our house! 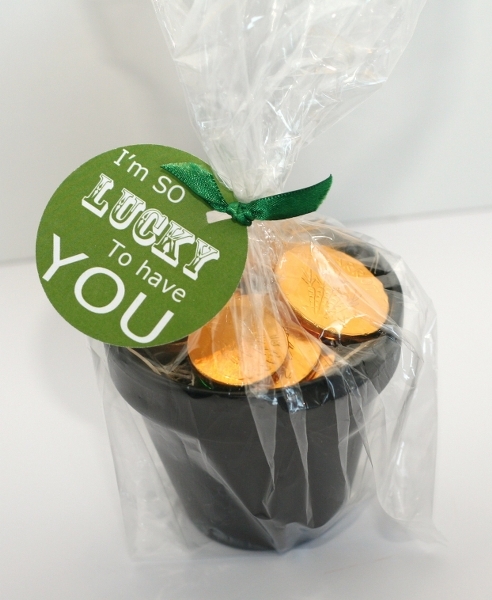 Last year, I put together a “pot of gold” for teacher gifts. It’s a pot painted black and filled with chocolate coins.